How do you help an endangered species thrive once again? Some might fight for policies to prevent people from poaching (or illegally killing wild animals). Others might fight to prevent the habitat of an endangered species from being destroyed. And some might try to increase the population of an endangered species by breeding them in captivity. Giant pandas have been on the endangered species list since 1990, but with the help of laws that protect their habitats and a successful breeding program in China, giant pandas (although still vulnerable) are no longer on the list of endangered species. Awesome, right? But breeding in captivity isn’t easy. Similar to people, animals have to “like” each other in order to successfully mate. 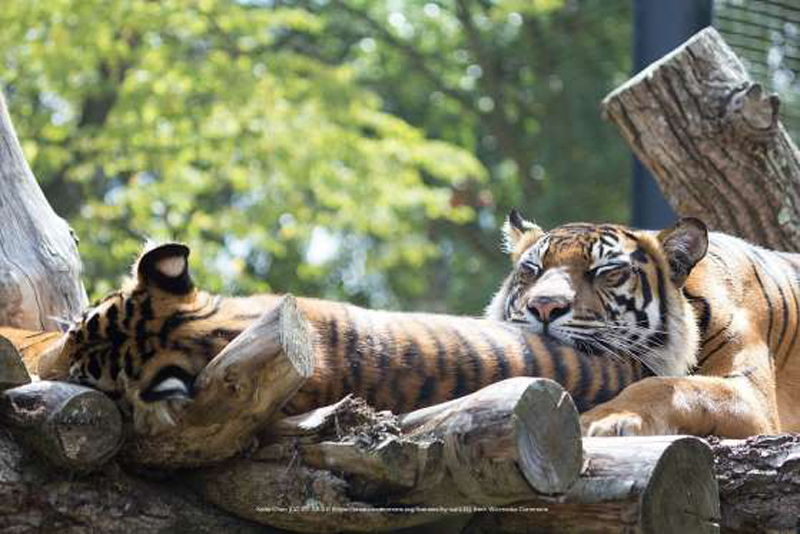 Recently, the London Zoo attempted to introduce two tigers in hopes that they would breed in the future. Melati, a female Sumatran tiger and long-time resident of the zoo, was introduced to Asim, a seven-year-old male Siberian tiger. While the zookeepers did everything they could to ensure that the animals were compatible, Asim became aggressive towards Melati after they were introduced and ultimately mauled her to death. It was a sad and unfortunate event, but breeding animals in captivity is tricky and not without risk. Isn’t it ironic that the zookeepers’s goal was to increase the population of the Siberian tiger, but things turned out the opposite of what they wanted? That’s just it—wild animals are … well … wild, and sometimes you just can’t predict what they’ll do.